Why do the senshi get a manicure before they get gloves? 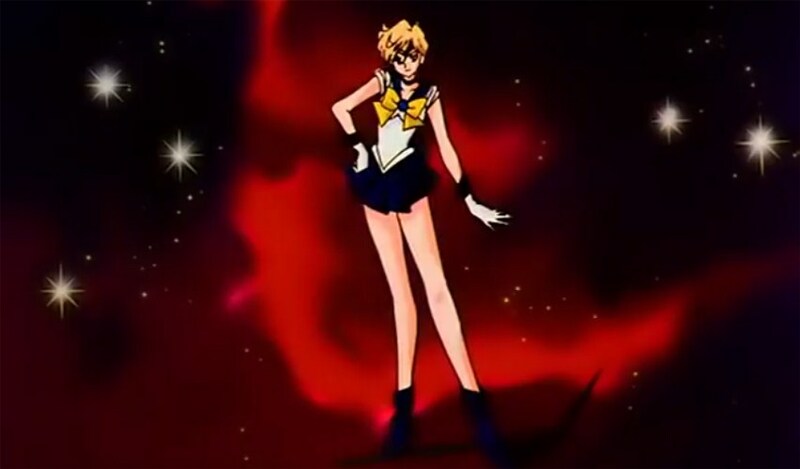 In the anime series Sailor Moon (or, Bishoujo Senshi Sailor Moon) the senshi have a unique henshin, or transformation sequence. 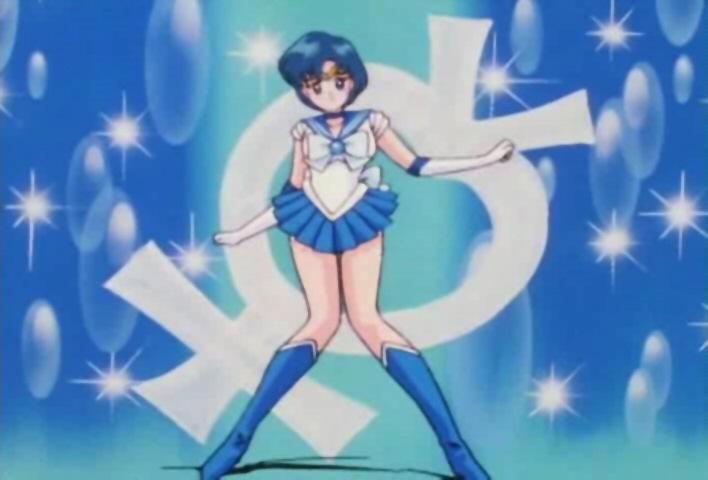 Especially later on, these are animated with the senshi receiving a manicure before the transformation sequence begins. So: Why do the Senshi receive a manicure before putting on gloves? There is an official answer to this. Takeuchi Naoko, the mangaka seems to have made this decision, not the animation staff. 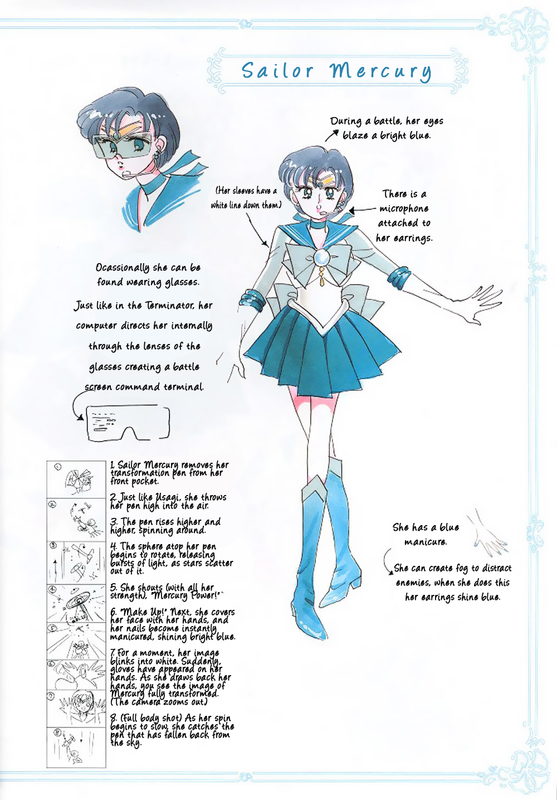 She points out the characters' nail polish in the Settei Shiryoushuu (Materials Collection) art book, and on the Sailor Mercury page she shows her own 8-frame frame-by-frame sketch1 of Sailor Mercury's transformation sequence, including the frame which includes her comment (fan translation from the original Japanese): "6. 'Make Up!' Next, she covers her face with her hands, and her nails become instantly manicured, shining bright blue." 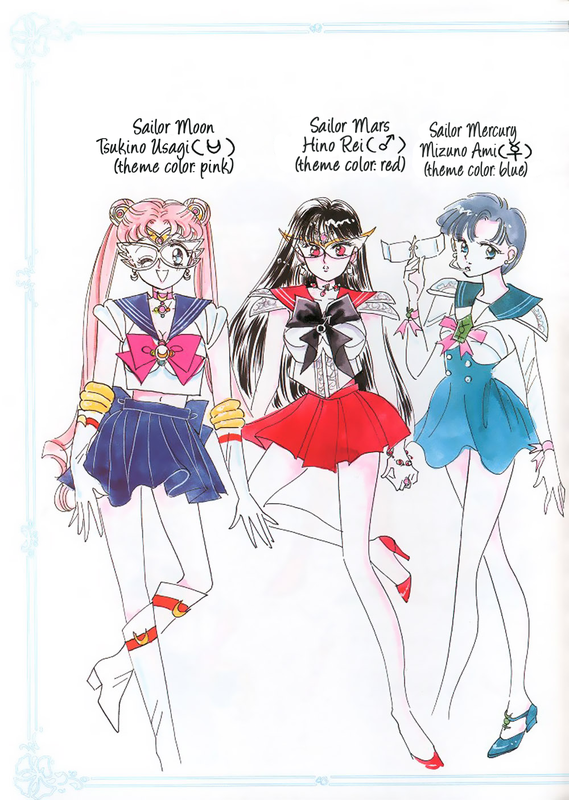 In Takeuchi's early concept art for the characters (also shown in the same artbook), neither Sailor Mercury nor Sailor Mars wore gloves2 as part of their sailor soldier uniforms so, in their cases, their manicures would have always been showing (whereas Moon, Jupiter, and Venus were originally gloved). The fact that Takeuchi wanted to highlight make-up in the series is the reason that the characters use the phrase "Make Up!" - which was apparently important enough to be specifically mentioned in the Sailor Moon Crystal opening theme song "MOON PRIDE" by Momoiro Clover Z. Well, the Guardians do shout "Make up!" before properly transforming, so manicures and lipstick fit the motif nicely of transforming into Pretty Guardians. I know I answered this quite some time after the question was asked, but I'm sure it's helpful to someone out there. You're quite the OCD are you? I haven't heard of any official response to that, so we can only assume that it's only to make the animation look cooler/more dramatic/more insert praise word here. Seijitsu's answer refers to word of god, so I won't go that way. I will assume the OP is male since his profile does not exist ATM. Why go to the trouble of doing a nail job if it is going to be under a glove is the same thought that makes me pull the first boxers out of the drawer and put them on without even knowing its color. Same goes for socks most of the time. Yes, I am also male. But the other gender works differently. Girls wear pretty lingerie nobody will see. It does not matter if their wonderful nail job is hidden behind a glove, they know the nail job is there and they feel good with themselves because of that. Or if something might happen later in the evening. Narusegawa of Love Hina did that: in episode 5, she has to sleep in the same room as Keitaro. It did not matter that the poor boy was bound and gagged, she got the nice lingerie "just in case". The show is aimed at young girls. Tsukino is 14 when the series begin. The target demographic is going through puberty, beginning to feel like adults. Even though most of them already know how to do makeup (link link), they are at the age their bodies are changing shape. The showmakers are aiming at increasing identification between the protagonists (Sailor Senshi) and the viewer (young girls). The principle at work is the same discussed in this other question. Why does Sailor Moon Crystal not air weekly? 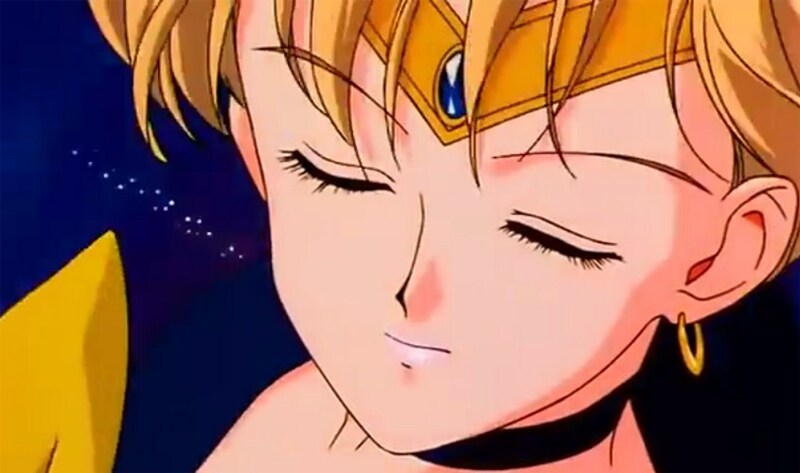 Why is “Make Up” the transformation keyword used by the Sailor Senshi? Why can Sailor Pluto be away from the Space-Time Door? 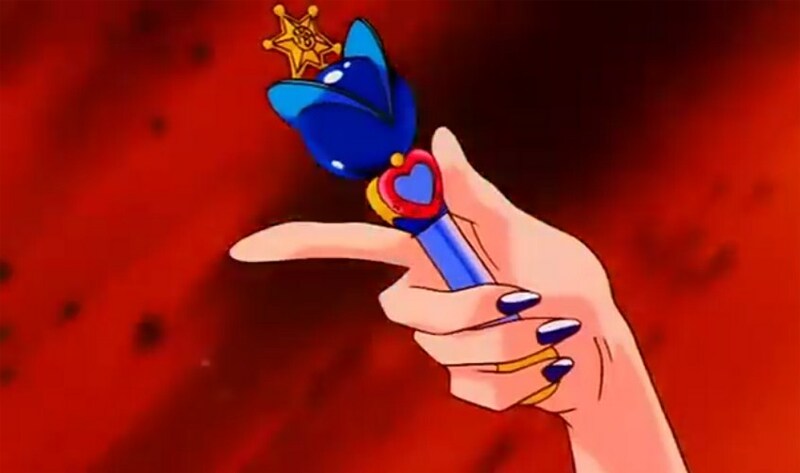 Is there any in-universe reason why the Sailor Senshi aren't affected by the citywide energy drain? Why do the names of the Sankakusu sites match the surnames of Uranus, Neptune, and Pluto? Why are Sailor Senshi earthlings? Why are the DD Girls called that? 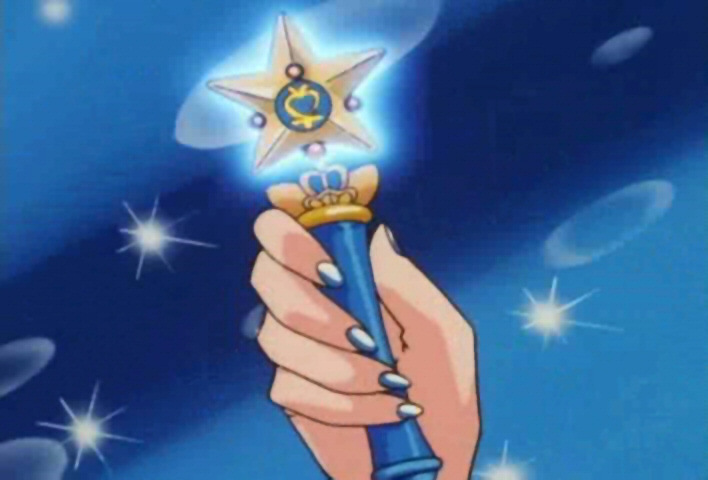 Why is it Moon Prism Power, instead of Moon Power, which would follow the pattern of the other initial transformations?